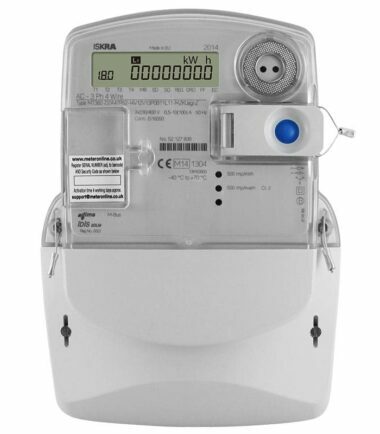 Iskra MT382-CT-MID approved meter is targeted at deregulated energy markets and enables provision of an AMR service. It is a polyphase meter intended for use in Commercial/Industrial and CoP5 applications. 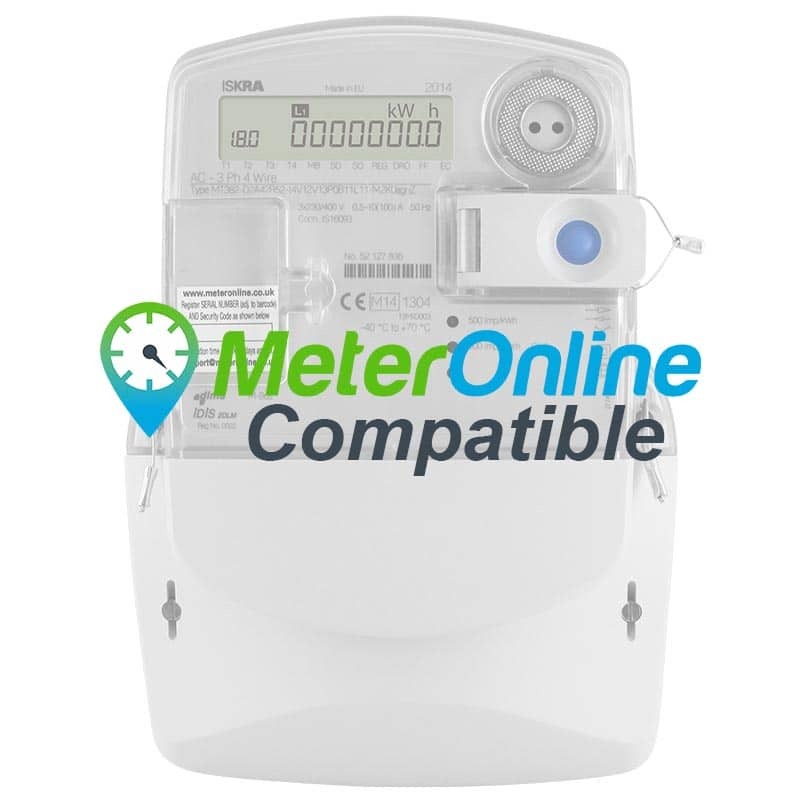 The meter incorporates a fully integrated GSM modem. 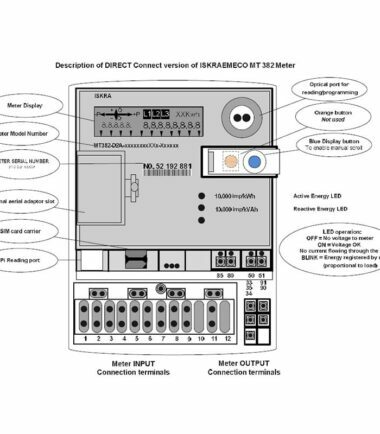 The integrated GSM modem can be exchanged with integrated RS485 communication interface for multisite installations. 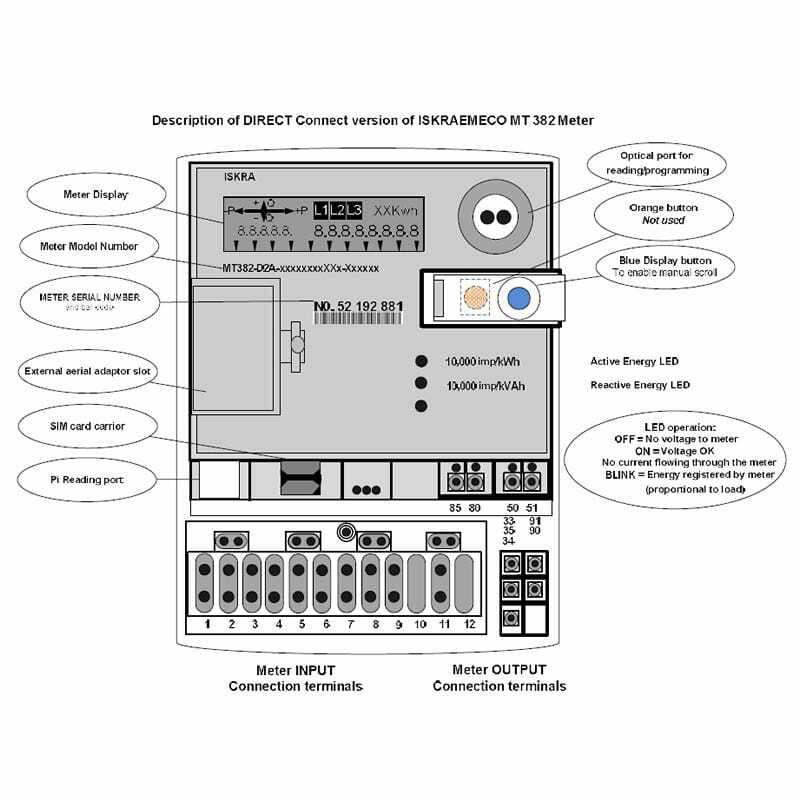 It is a perfect combination of well-proven metering technology and state-of-the-art GSM communication modem, all integrated and sealed in a single enclosure. 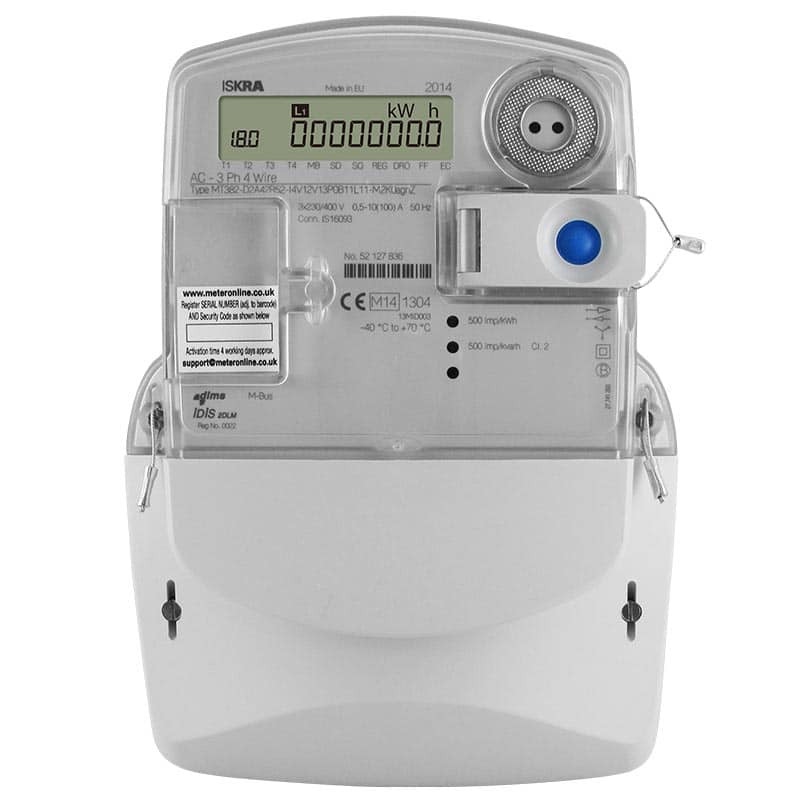 The integrated solution attains the same high quality and reliability of Iskraemeco meters. 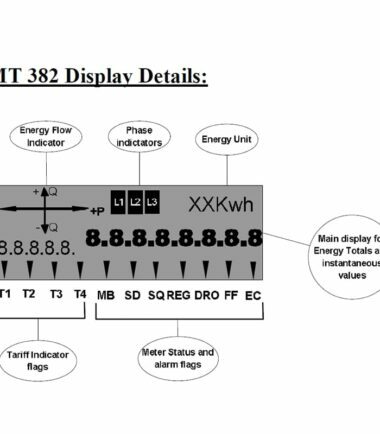 The meter is approved according to IEC 62052-11 and IEC 62053-21, ISO 9001, and designed according to even higher internal Iskraemeco standards, based on 60 years of experience of meter manufacturing and more than 55 million meters installed worldwide. 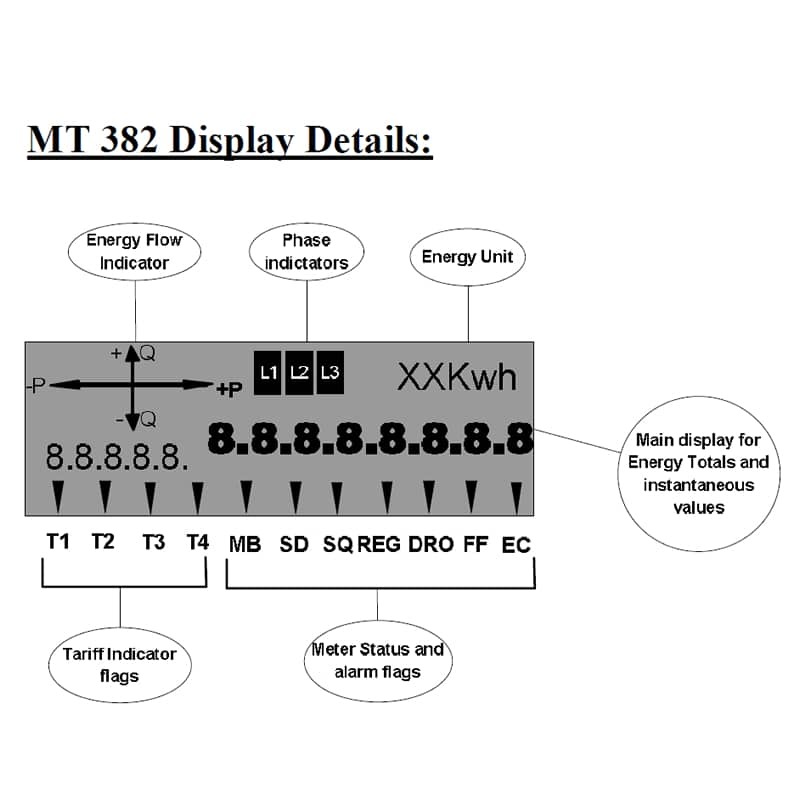 The MT 382 display will auto scroll to show the required readings. Normally this will only be 1.8.0 Positive Kwh (A+). Manual Scroll is access by pressing the BLUE button sequentially. Each press of the BLUE button will scroll to the next reading which is identified by the OBIS code (shown below). When you’ve reached end of sequence, let the display time out and the meter will return to auto scroll mode. SET = Meter in normal operation mode. 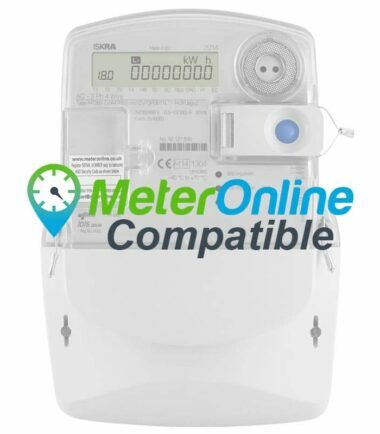 Please refer to the meter installation (tab above) for connection details.